Johan Galtung | Hayat Alvi, Ph.D. The symbolism of the G8 summit members calling on Iran to “come clean” with its nuclear program has been lost. 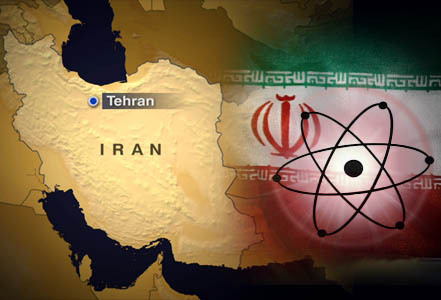 While Iran’s nuclear program embodies both a legal right under the NPT to use nuclear energy for civilian purposes, as well as legal restrictions for enriching weapons-grade uranium for military use – the latter of which is the source of the dilemma – when eight powerful countries dictate demands to a war-ravaged (Iran-Iraq War 1980-88) and sanctions afflicted developing country, much doubt, suspicion, and cynicism pervades especially in the developing world. Iran, in many eyes, is viewed as the underdog in this case, and the precedent of the WMD-based military campaign in Iraq 2003 has left a bad taste in the mouths of many people. “’We desire a peaceful and negotiated solution to concerns over Iran’s nuclear program, and therefore remain committed to a dual-track approach’,” the G8 leaders said as their summit came to a close at the US presidential retreat. The G8 consists of France, Italy, Germany, UK, Japan, Canada, US, and Russia. Although the case of Iran is contextually different, the policy approach to the problem resembles Iraq in many ways, especially in terms of the strict economic sanctions regime. In Iraq, nearly twelve years of harsh economic sanctions rendered a devastating impact on the Iraqi people. On the part of the P5+1 (permanent 5 UN Security Council members – UK, US, France, China, Russia – plus Germany), who have been involved in negotiations concerning Iran’s nuclear program, a certain reality must be grasped: while there are valid concerns for Israel’s security, given Iranian President Mahmoud Ahmedinejad’s verbal threats against Israel, there are equally valid national security threats and worries that the Iranian government accounts for when considering its nuclear program. In order for comprehensive negotiations and resolutions to work, Iran’s national security concerns must be included in the calculus. Only then could a viable resolution be derived. Right now, the balance is tipped in favor of the GCC countries and Israel, with little regard to Iran’s security concerns. Everything on the table, including missile defense systems and weapons sales, caters to the security concerns of the GCC states, Europe, and Israel, but if western powers want to give realistic incentives for Iran to cooperate and comply, they must also consider Iran’s security priorities and concerns. These priorities pertain to hostile neighbors, including the GCC states (traditional rivals, with the exception of Oman), ensuring the rights and protection of Shia populations in the region, the presence of foreign troops in neighboring Afghanistan and Iraq, the crisis in Baluchistan, the crisis in Syria (Iran’s strong Arab ally), the regional arms race, and nuclear powers Israel, Pakistan, India, China, and Russia. In addition, the ideological frictions between Iran and Saudi Arabia in particular (representing the Shia-Sunni schism), and the crisis in Bahrain, along with recent unity plans between Bahrain and Saudi, underscore the high sensitivities pertaining to regional politics, ideologies, and security issues. In other words, Iran is surrounded by provocations and antagonists. This is not to say that the Iranian regime is innocent. Of course, it engages in its own brand of provocations and antagonisms. However, in the framework of conflict resolution, a viable solution to a problem and potential conflict cannot be reached without considering and empathizing with the circumstances of all parties involved. In this case, the P5+1, the G8, and others must consider Iran’s national security concerns. At the same time, in the context of these considerations, the ideal opportunity arises to press Iran to cease all verbal threats to Israel and provide assurances that it will not attack Israel. Also, Israel would have to reciprocate with similar assurances regarding Iran. These points should be kept in mind when the P5+1 hold another round of talks with Iran’s delegation in Baghdad on May 23. There is far too much at stake to fail in the simple gesture of empathizing.